Transgender Health Care By Telemedicine : Shots - Health News In rural areas, doctors and nurses competent in transgender care are hard to find. It can also be a challenge to locate providers who offer respectful care for issues unrelated to gender identity. At an outpatient lab in Tifton, Ga., where Karen Williams gets her blood drawn, a clerk looked from her computer screen to Williams' printed lab order, then back again. "This is not right," the clerk said, squinting at the lab order. There, the birthdate and address matched the ones on the screen, but the name displayed was a male one. A transgender woman, Williams lived as a man for nearly 50 years before beginning to make physical changes several years ago. She's grown out her hair and has gotten most of an old goatee lasered off. One of the things that hasn't changed, however, is her legal name – so in most health care situations, she usually uses her old name and driver's license. The clerk looked at the computer again. Williams took a deep breath. "Does it say 'Karen Williams?' " she asked the clerk. For many transgender people, moments like this, when a health care worker first becomes aware of their gender identity, are often fraught with fear and anxiety. Many fear discrimination will increase with strengthened protections for doctors and nurses refusing to provide certain care on religious grounds. The more care refusals transgender people experience, the less care they seek, and the higher their rates of preventable and treatable conditions, including cancers, mental health problems, and substance-use disorders. In rural areas, doctors and nurses competent in transgender care are few and far between. It can also be a challenge to find providers who offer respectful care for medical issues unrelated to gender identity. Remote medical consultation by videoconference is one possible solution. Williams has a primary care doctor at a family practice in town, where framed Bible verses hang on the wall and Christian music plays in the waiting area. When she felt ready to begin taking hormones for gender transition, she didn't bother asking her local doctor. Instead, she made an appointment with Dr. Izzy Lowell, a family practitioner who specializes in caring for transgender and gender non-conforming people. But Lowell is based in Atlanta, a three-hour drive away. Getting to the appointment took some doing. Williams teaches fifth grade and is the primary caregiver for her disabled 32-year-old son. She scheduled the appointment over her school's spring break and arranged for care for her son during her trip. After all the effort to get to her first visit, she was initially taken aback when Lowell informed her she would soon be scaling back her brick-and-mortar practice to focus on telemedicine. Williams came around to the advantages fairly quickly. "I know lots of people in rural areas, like me, where they don't have any doctor who remotely knows anything about transgender care," she said. It's those patients Lowell had in mind when she opened QMed in the late summer of 2017. The practice offers care exclusively to transgender and gender nonconforming patients in the southeastern United States. Lowell's intent was to lower the barrier to access for adults and adolescents living in rural parts of the region. In less than a year, she's been able to do that, with only occasional hiccups. Williams, for instance, no longer has to plan weeks in advance for her visits with Lowell. They are now as close as her nearest webcam – at least, in theory. During Williams' last appointment, Lowell's videoconferencing software was uncooperative, and they had to make do with a phone call. But that was the exception. Typically, patients are able to use the software to choose their preferred name and pronouns before each visit. These often change during gender transition, Lowell says. Patients encounter no one other than Lowell as she assesses sensitive issues like changes in body hair and sexual function from her location in a hip Atlanta neighborhood. Although she could conduct most of her patient care online, about half of her patients still prefer to come to her office. Because Lowell uses headphones during video visits, patients' voices aren't audible in the room. But for an extra layer of privacy, and for the patients who still choose to come in person, Lowell keeps white noise machines in the waiting room she shares with another small business. Before first visiting Lowell in her old office, Williams mentally prepared herself to endure being called "mister" by clinic staff and being stared at by others in the waiting room. The one-on-one contact of the virtual office eliminates that familiar dread. 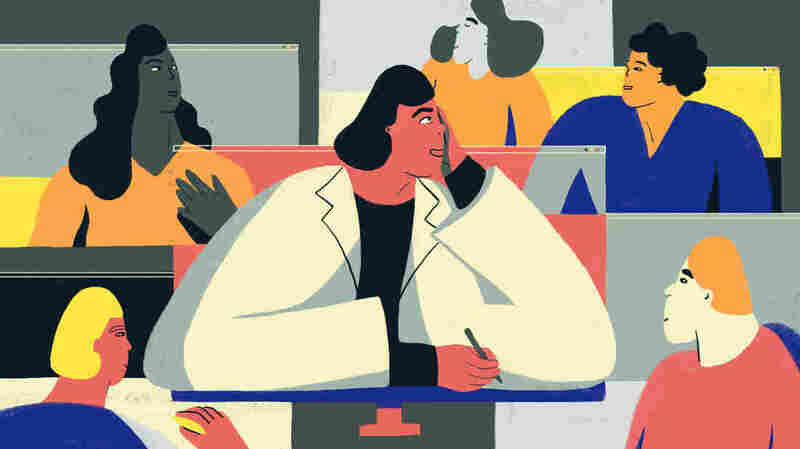 "That is one of the beauties of telehealth," says Mei Kwong, executive director of the California-based Center for Connected Health Policy. In communities where everybody knows each other's business, she says, telemedicine adds a level of confidentiality that is particularly beneficial to people with potentially stigmatizing conditions. Telemedicine also reduces travel costs related to health care for people in rural areas. In a study of rural sexual and gender minorities, 14 percent of transgender people reported traveling more than an hour to see their primary care provider – not necessarily the doctor who provided gender-related care. And in a 2017 survey by the Center for American Progress, 30 percent of transgender people living outside metro areas said it would be very difficult or impossible to find an alternative to their existing provider. Rural transgender people aren't alone in struggling to get health care. In the U.S., many rural households suffer from lower rates of health insurance coverage, shortages of doctors and nurses and low access to the private or public transportation necessary to get to a health care facility. But for transgender people, those challenges are exacerbated due to increased vulnerability to unemployment and poverty, says Laura Durso, who helped lead the Center for American Progress survey. While telemedicine could give rural Americans a bridge to better health care, there's a catch. Nearly 30 percent of rural dwellers in America don't have access to broadband Internet service, a necessity for telemedicine to work well. Underpowered Internet service can discourage health care providers from offering telemedicine services, says Kwong. Many state laws and insurance policies don't regard audio-only interactions as telehealth, so if a video connection fails, as Williams' did, the provider can't bill for the visit. As it is, insurance reimbursement for telemedicine services is often so low that many telemedicine providers struggle to break even, says Kwong. Analyses of 2013 data collected by the Health Care Cost Institute suggest that, on average, private insurers pay for telemedicine services at rates about 30 to 40 percent lower than for the same services provided face-to-face. Kwong says many providers are motivated more by altruism than profit: "They do it because this is the only way they can get those services to their community." Lowell is lucky to live in one of 32 states with a telemedicine parity law, which mandates that private insurance companies pay her as much for a telemedicine visit as they would for a face-to-face visit. Less than a year into her practice, she is almost breaking even, and is near the point of covering her startup expenses from 2017. While she bears the significant administrative burdens of an independent practice by herself, the occasional headache is worthwhile because providing access is so important. "The current system is not at all fair to transgender people," she wrote in an email, "and I don't like unfairness." Williams has been fortunate. Much of her care with Lowell is covered by insurance. And she has been pleasantly surprised by the reactions of health care workers to whom she's disclosed her status. Back at the outpatient lab, when she explained to the confused clerk that she was in the process of transitioning, she got an unexpected response. "That's awesome," said the clerk. "This is awesome. So, which name do you want to use?" Keren Landman, a practicing physician and writer based in Atlanta, covers topics in medicine and public health. Reporting for this project was supported in part by a grant from the Solutions Journalism Network.